Gay Olympic figure skater Adam Rippon has announced his retirement in an emotional letter addressed to his younger self. News 20 November, 2018 . Written by Brian Dillon. 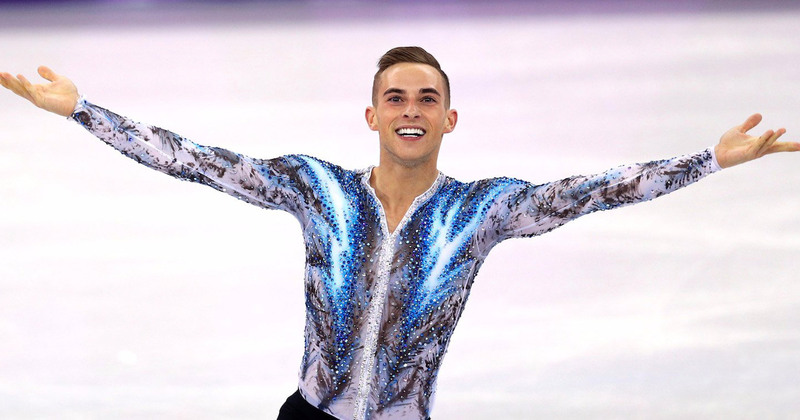 Adam Rippon won over the hearts of figure skating fans and the LGBT+ community alike when he competed in the Winter Olympics earlier this year. Now, the 29-year-old has announced that he has skated professionally for the last time in a touching open letter posted on CBS’ Note to Self series. In the letter, Rippon wrote to his younger self and talked about coming out, failure and becoming the role model that he would have loved to have growing up. Monday in our #NoteToSelf series, Olympian @Adaripp reflects on his figure skating career, struggling with self-acceptance and becoming a role model. “Hi Adam, It’s me, Adam, but from the future,” he wrote to his younger self. “You are going through a really tough time right now. You’ve just missed qualifying for the Olympic team for the second time in a row. You feel confused and you feel like a failure. It might not make sense right now, but this is truly one of the most important moments in your life,” he recalled. Addressing his coming out journey and experience as a gay man, Rippon wrote, “You’ve come out to your friends and family a few years ago and it made you feel so free like you’ve grown wings. “Do you remember growing up in Pennsylvania, thinking that being gay was something you would never tell anyone? When you publicly come out in the next year, you will let go of what other people think of you. Adam Rippon became the first openly gay American man to win a medal at the Winter Olympics when he won bronze. He has since become a queer icon. Speaking at a Forbes Under 30 event, the skater discussed his activism. “I always felt like it was important to speak out on things that I felt needed a voice. “While I was at the Olympics, I did kind of get thrown into that position, but it’s a responsibility that I felt ready for,” he said. The queer athlete is also known for standing up to notorious anti-LGBT+ US Vice President Mike Pence. “I don’t think he has a real concept of reality. To stand by some of the things that Donald Trump has said and for Mike Pence to say he’s a devout Christian man is completely contradictory,” he added. 20 November, 2018 . Written by Brian Dillon.